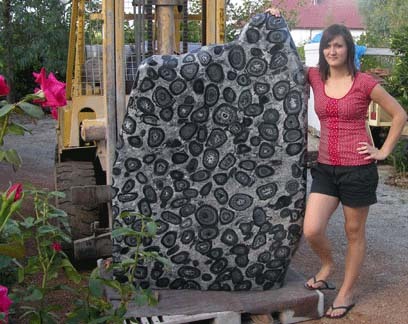 Orbicular granites occur as small pods, trains, bands, lenses, pipes, and patches usually along or close to margins of granitic intrusions. 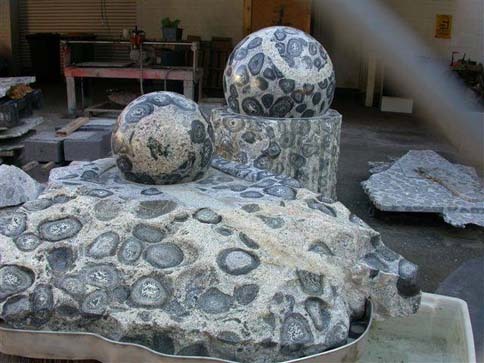 They occur on all continents in rocks of all ages. 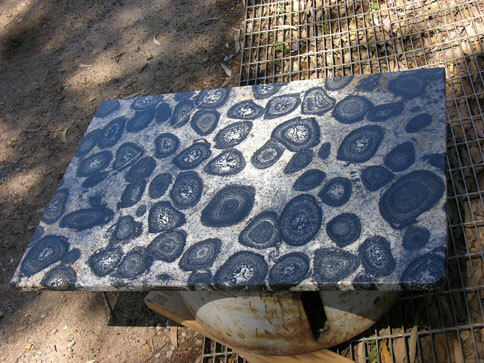 Orbicular granites are fascinating geologically because of the structural complexities and variations in mineralogical composition within and between individual deposits. 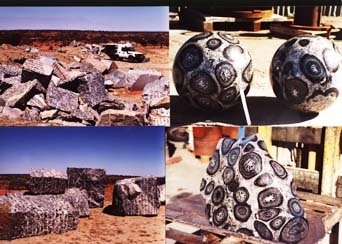 Orbicular Granite in various stages: from mining to completed art. 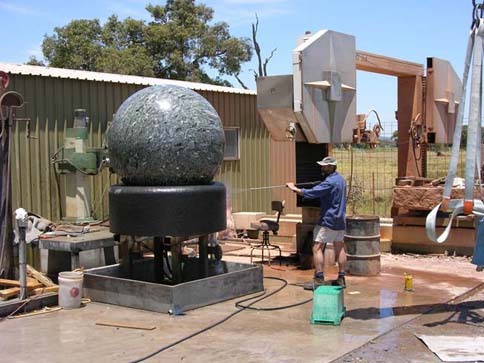 The Western Australian deposit is located at Mt. Farmer. 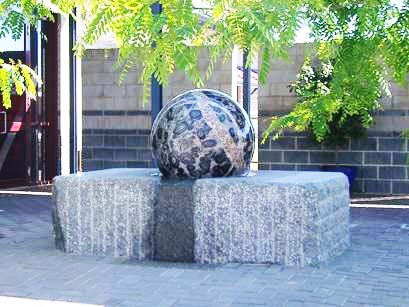 It is an orbicular granite unit which forms part of a large Archaean granite dome. It has been dated at 2.7 thousand million years old. It constitutes one of the largest concentrations of orbicules yet documented. The close-packed orbicules have multiple, roughly concentric, quite delicate shells of rythmically precipitated felsic, intermediate and mafic layers around a surprising diversity of cores. 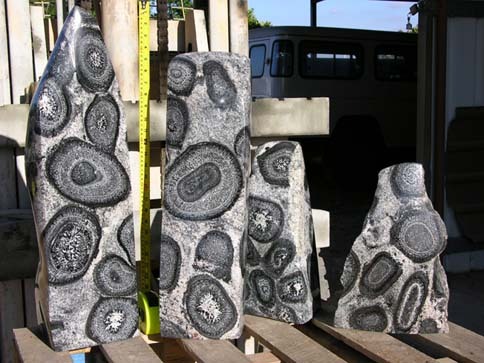 Additionally, they are characterised by a radial growth of deformed black elongate amphibole crystals. 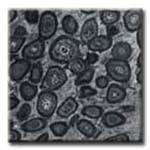 Hosting these orbicules is a fine- to medium-grained, generally equi-granular greyish granodiorite. 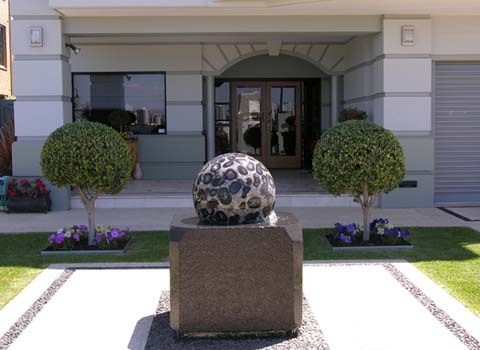 The deposit is characterised in places by post-emplacement structures such as veins, sheets, dykes, a scattering of large gem-stone quality minerals and very rare pockets of complex sulphide intergrowths, which provide additional appeal to the overall character of the stone. 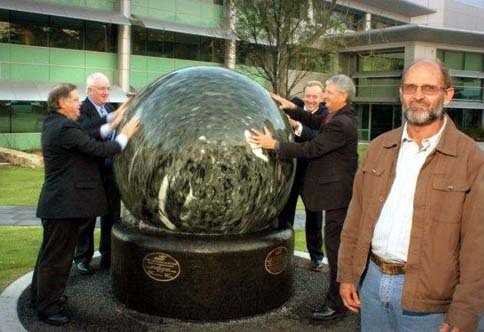 The result is a spectacular rock of unsurpassed three-dimensional visual effect. 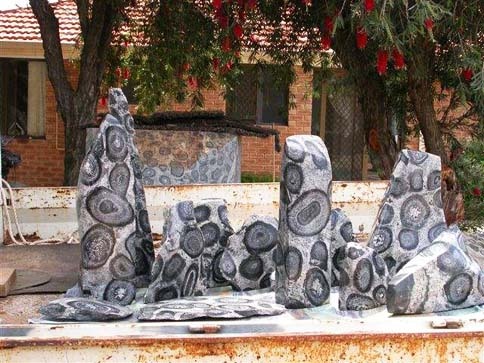 The Orbicular Granite mine used by Floating Stones is located West of Mount Magnet in WA and was found many years ago by the local station owners. Since then it has been mined several times and is a substantial deposit. 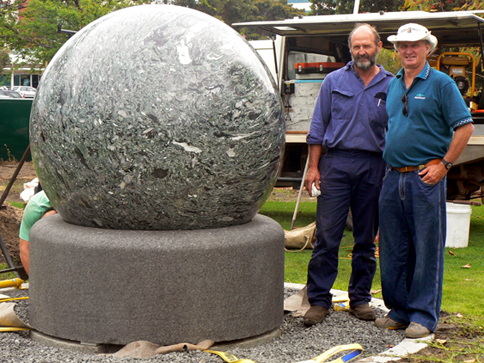 It is made up of many minerals and is one of a very few deposits world wide, probably showing the largest orbicules. 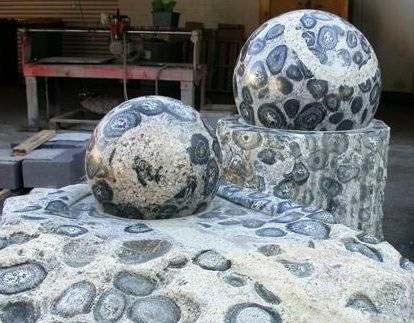 It is a unique and geologically fascinating stone.